In artificial lift applications, especially rod-driven applications, corrosion fatigue is a common, costly sucker rod failure, typically initiated by a corrosion-pit stress riser and propagated by the cyclic loading nature of the equipment. 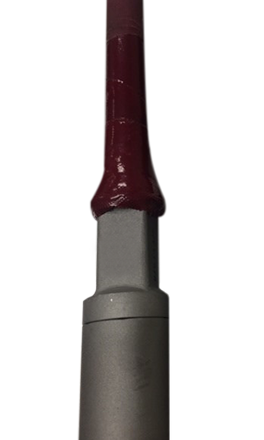 Composite-coated conventional sucker rod involves the adherence of a synthetic fiber and heat-curing epoxy to a steel sucker rod, which prevents well fluids from propagating and causing damage. This proprietary coating has been tested in hot water, hot oil, acid, and brine solutions. To ensure product integrity and success in the field, functional testing with rod elevators and stress impact has also been completed. Composite-coated conventional sucker rod may require guiding to protect the coating from tubing contact wear, depending on the well configuration and application conditions.